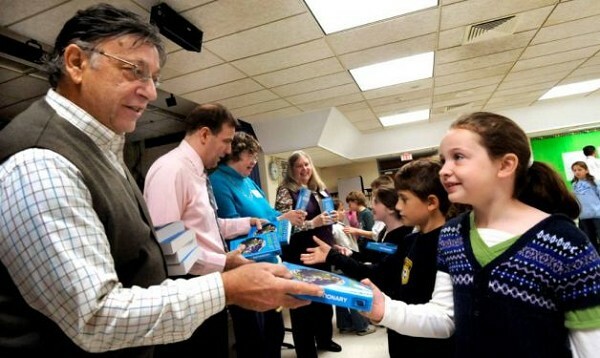 Members of the Redding Grange surprised the third-graders at the town's elementary school Friday with a gift of their own dictionary. 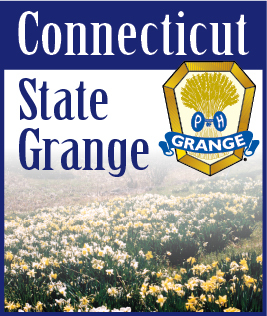 Geno Piacentini, a long-standing member of the organization said The Dictionary Project is supported by the national Grange, which encouraged its individual chapters to take part in the program. "We decided to do it this year, it's our first time, our first attempt at it," Piacentini said. "We were surprised by how many go there," he laughed about the third grade enrollment. The organization was founded more than 150 years ago to represent farmers and workers in the agricultural industry. Now its goal is to provide programs of community service, family activities, legislation and other activities to local communities.